Broch wrap. 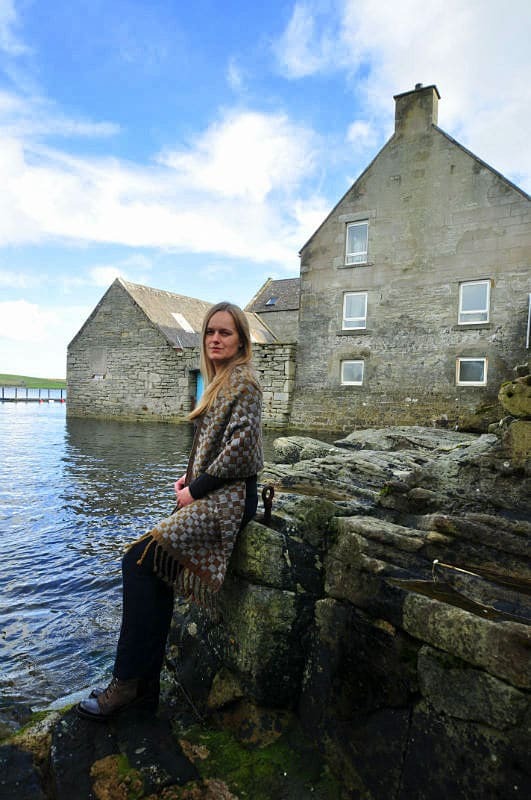 The name and pattern of this piece is inspired by the ancient stone towers located all around Shetland. Nowadays most of them are scenic piles of stones nevertheless still very impressive. 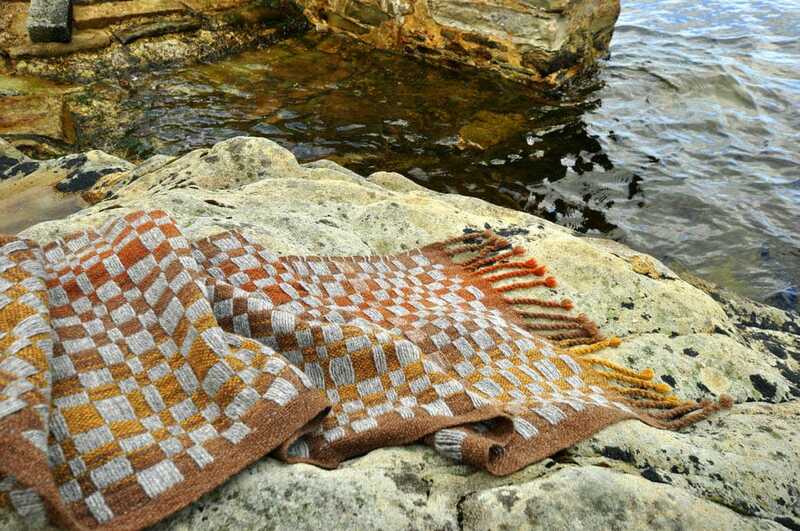 The wrap is woven with Jamieson’s of Shetland woollen yarn in natural brown, light grey, rust and yellow ochre tones. Dimensions: 180 x 45 cm plus 10 cm hand twisted fringes on each side. Available on order only. Estimated time of delivery – 2 months. Every item is wrapped in a gift paper and sent via Polish Post as tracked and signed priority mail.